Following the success over the past couple years with our workshops entitled “Future Leaders in Green Chemistry” and “Next Steps in Green Chemistry Research”, we felt that the next logical step after teaching chemists how to apply green chemistry in their own research would be to have a symposium highlighting how these techniques are implemented by the chemical industry in the working world. Therefore we focused on obtaining lecturers from industries across Canada and the United States such as Xerox, VWR, Sigma Aldrich, Dow, 1366 Technologies, Proteaf Technologies, Green Chemistry & Commerce Council, and many more. Starting off the event was Dr. Andy Dicks’ Crash Course which covered the basics of green chemistry while incorporating industrial case studies from recent years. The industrial lectures followed over two full symposium days, covering a variety of topics with three main goals: 1) how companies are bridging the gap between academia and industry, particularly by adopting promising chemistry from academia, 2) how companies are connecting with each other globally to instill better practices such as industrial transparency through environmental sustainability reports, and 3) chemical synthetic case examples exploring the diverse area that is the industrial green chemistry of today. A few academic lecturers were also invited to share their knowledge of solvent-free chemistry and applying green chemistry to DFT calculations. 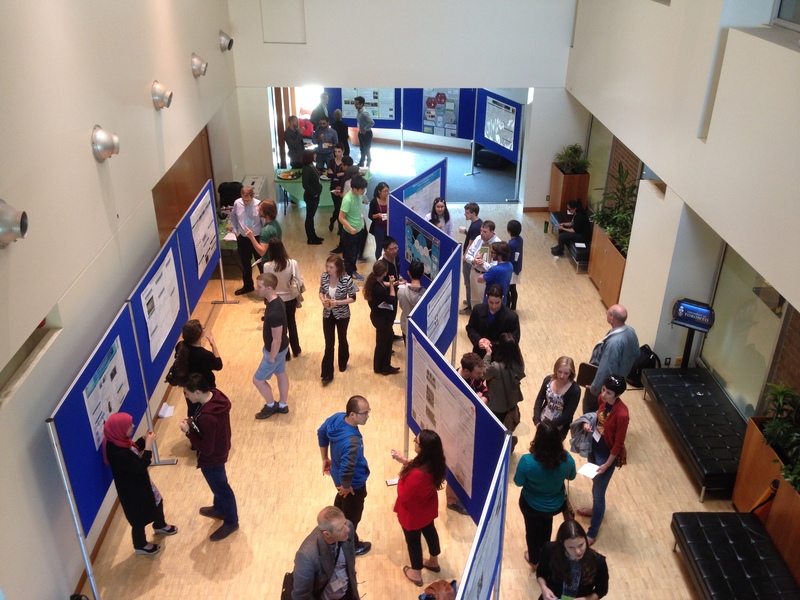 Symposium participants learn about each other’s research during the poster session. The final lecture, compiled by the GCI and presented by yours truly, was entitled “Preparing for the Future: Advice from Industry”. This lecture presented the responses from our invited speakers to a few questions we asked them, based on the necessary skill sets and experience required to push forward your resume when applying for an industry-based job, as well as their view of working in an industrial lab vs an academic setting. In the end, the best advice was to educate yourself broadly in science and in business, be active with extracurriculars during your studies, and most importantly to develop communication and people skills! 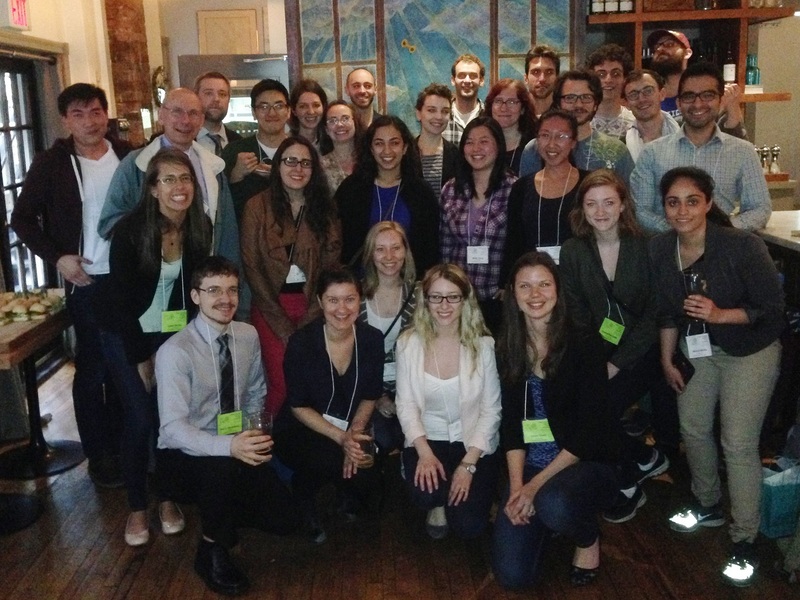 Highlights from the symposium included poster presentations featuring 14 posters (three of which won a monetary prize in a poster competition), dinner with the speakers in small groups, and a social event held at Harvest Kitchen with hors-d’oeuvres and drinks. Group picture taken during the social night! Of course, we’d like to thank our sponsors for their funding to make this event possible: UofT Environmental Resource Network (UTERN), the UofT Chemistry department, GreenCentre Canada, UTGSU, and Ulife. Special thanks goes to Universal Promotions, who were very helpful in the process of making GCI notebooks for our symposium swag. If you’d like to see more details including a full schedule of our 2015 Symposium, click here. ACCN also published an article featuring our event, please check it out here! We’re already planning the theme and speakers for our 2016 Symposium, so stay tuned through our social media accounts for more announcements. This entry was posted in GCI Initiatives, Green Chemistry Education, Karl Demmans and tagged chemical industry, green chemistry. Bookmark the permalink.